Adult coloring journal book: written with the Christian in mind, "Be Still and Know That I am God" is an inspirational journey through some of the most faith-filled Bible narratives of all time. 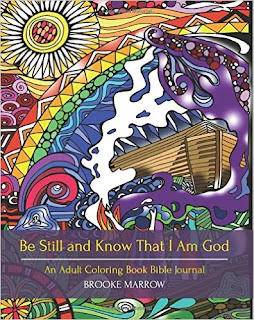 Colorists will experience the serenity of relaxed, mindful coloring of popular Bible stories and verses. The added benefit of journaling allows for reflection on the acts of faith depicted in the art work.Young and old, this book is ideal for individual devotional or personal "me time" as well as for study groups.